You don't have to like it, but you do have to bear up under it. How will we do that, I wonder? Dignity? Beauty? Certainly Truth. Find a place where one of those is missing and make a contribution today. The end of the year has us all considering how to best proceed, and I so I will direct you to the manifesto of the Dark Mountain Project again. Here is a song, too, to inspire us to bear our burdens with grace, and to fill this world up. Fill it with what you want- don't let it be all shoe ads and soapboxes. A capacious clattering of lines, stanzas and pages. A poem that would tell the future. And the past. All about the past. To give it to the future. This wasn't here then, it was open; you could see the sky. There was a dirt road there, and a little path. A tree grew just there. This used to be a field; with flowers in the spring. It is the story of loss. You know what to do... push the button. Thinking of you, as always. Why push the button? Here is why. They were my brethren, my fellow beings, and I felt attracted even to the most repulsive among them, as to creatures of an angelic nature and celestial mechanism. From Frankenstein, by Mary Shelley. The news is good! Skateland Bakersfield has re-opened! Some saintly, lovely, visionary, generous and kind, people have bought it, and they are open and ready for you to roll with them. We went last weekend, and had a grand time. I hope you will visit them soon, and often. I will keep an eye out for you! What is there to prevent from attending tonight's session? Here's a roller skating jam for your Saturday, to further encourage you to visit Skateland. The Way of the Song. 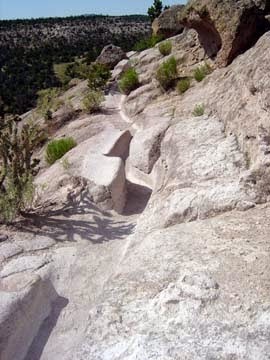 In Bandelier National Park, on the Pajarito Mesa, on the Tsankawi Trail, there winds a path, worn deep into the soft tuff of the earth. First trod by the Ancestral Tewa peoples, 600-odd years ago, it is worn ever deeper by visitors today. Setting your step into one of the narrow ascending footholds, or the wending downward chutes, you think of the feet that came before you; and the numinous traces of their lives. A song is a similar path, made manifest by repeated listenings- you can easily touch times past in listening or singing along- and beyond, perhaps? Touching even others who have sung along, too? Try this experiment and see for yourself. Listen and sing or hum along to this lovely palimpsest of a song, and see if you don't travel great distances, visit far away times, and hear the stories of old. And once more,, maybe? Encore? A Little Look at the Country. I took a little trip recently, and I met a woman with a fabulous knot in her yellow necktie- and, because she was in Texas, and everyone in Texas is charming and generous, she un-did it all for me, and demonstrated how to tie the boutonniere knot. I offer a link here, to introduce to you the surprising variety of nifty neck tie knots available to you. It's enough to send one right out for a wheelin' dealin' desk job, isn't it? I'll be watching for you in your new knot. 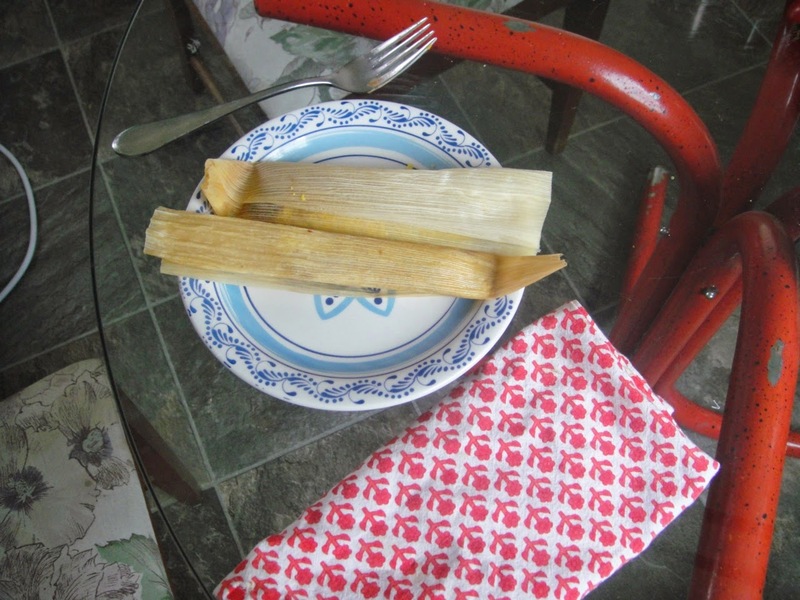 Thank you all for joining us yesterday for the Great World-Wide Tamale Make. We had a delicious time. If you feel like we do, here at the Dodo, you will want to make them again. 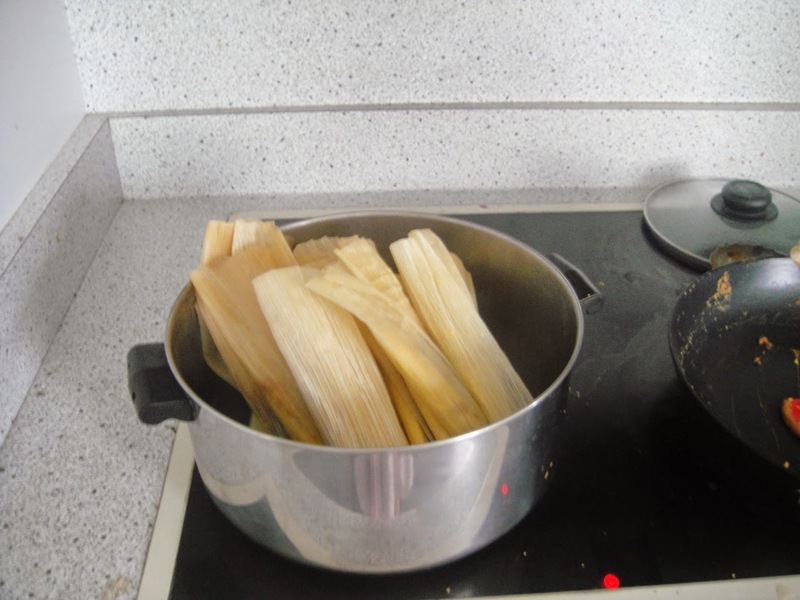 Here is a much more advanced recipe and instruction from the divine Diana Kennedy, who authors most of the Mexican dishes we make. If you don't know her cookbooks, well, you know what to do- they are delightful reading and filled with history and scenic description. A little more on Diana Kennedy and taste, right here. Shall we meet again, at this time next year? To make tamales together again? Let Now be your Next Time. Another enjoinder, today- Won't you watch your feeders with us? 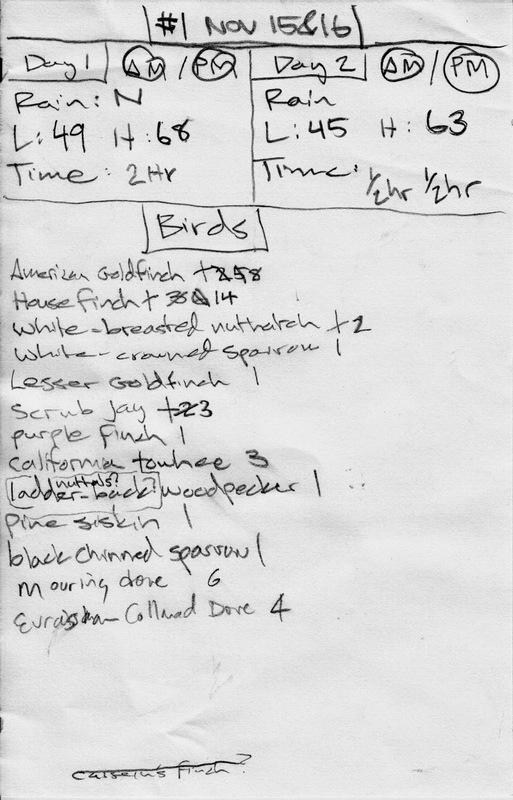 The season of counting birds for Project Feederwatch began a few weeks ago. There is still time to join. This is our 13th year of counting birds, and a bird I have been expecting, the Pine Siskin, has arrived at our thistle feeder for the first time ever. Imagine, if you will, setting a place at table, and the guest finally arriving, after a dozen years! Is there anything more gratifying? I imagine that you might be worried about where you will find the time to watch your feeders and count the birds. I want to assure you that you can contribute just a little time, a mere five minutes per day on two consecutive days, every two weeks. You will want to spend much more time, though, once you begin. Invite a friend to join you, make a cup of tea and set awhile as you watch your feeders' visitors. It requires another kind of attention, it is a practice, a meditation even- you will love it, you will thrive and rejoice in it. Have a little patience, in the beginning, and soon, after a decade or so, you will see your Pine Siskin, and you will feel so brave and steadfast, so righteous, so hope-filled: Because you alone waited up to see the wonder of it all; you alone kept the faith. Are you worried, also, that you lack the skills for watching and identifying? These are easily learned too, in exciting, sleuth-like observational deductions. A field guide is all you'll need, and if you like, binoculars. This is your year to learn the birds' names. laptops. They'll look up and smile. Orient Express. "Meet me in Istanbul,"
I'll say, and they will. Reprinted from: The Writer's Almanac.